Keep Cool Name Ideas Free! Generate Names for your… Business, Blog or Product. Got a great startup idea, but struggling with the name? Your business name can influence how it’s perceived, who it appeals to and how successful it becomes. Choosing a name may be the most important decision you make. While it’s true some startups do well with inferior names, do you want to take the chance? I provide advice on how to find the perfect name for your business, blog or product, follow me on Twitter. Got great name ideas but frustrated that you cannot find the matching domain names? 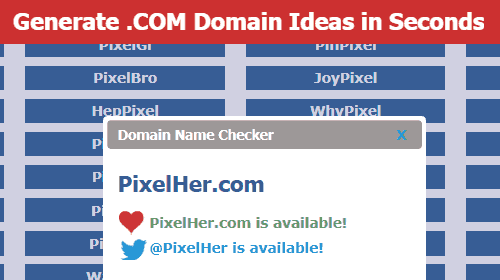 My Free Domain Name Generators are able to do a lot of the work for you by suggesting available names that match your search criteria. 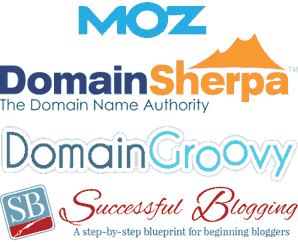 Read the reviews and find the best Domain Name Registrar for your new name. Read the reviews and select the best Hosting Provider for your next site. Read the reviews and select the best Naming Book for you. Got Your Name? Want People to Know? Let me know the details and I’ll consider including your new site in a future blog post. Who’s Behind Cool Name Ideas? My name is Justin March and I’m a full-time freelance marketer making a living online with projects like Cool Name Ideas. Connect with me on Twitter, Google Plus and Facebook.